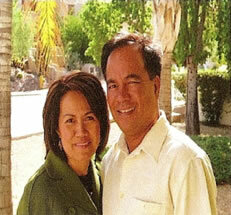 We are Best Care Home of Moon Valley, LLC of Phoenix, Arizona. Our mission is to provide the highest quality senior care with dignity, compassion and peace of mind for their families. Best Care Home of Moon Valley, LLC of Phoenix, AZ is a family owned and operated business providing assisted living services in several home settings in the Phoenix area of Arizona. Tess Baylon, the owner, is a registered nurse with a Bachelor’s degree in nursing. Her many years of experience in health care and taking care of people has been a valuable tool in evaluating, identifying, and understanding the needs of the residents that she serves. Tess and her husband Ron, who has a degree in Business Management, work together to accomplish their mission. All services are provided in a comfortable home setting with 24 hour supervision. We are licensed by the Arizona Department of Health Services. We serve our senior residents with compassion and respect, so the families can relax with peace of mind. See our locations page for information about our assisted living homes in Phoenix, Arizona.